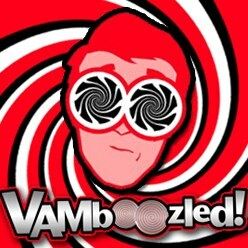 New Mexico Lawsuit Update | VAMboozled! As you all likely recall, the American Federation of Teachers (AFT), joined by the Albuquerque Teachers Federation (ATF), last fall, filed a “Lawsuit in New Mexico Challenging [the] State’s Teacher Evaluation System.” Plaintiffs charged that the state’s teacher evaluation system, imposed on the state in 2012 by the state’s current Public Education Department (PED) Secretary Hanna Skandera (with value-added counting for 50% of teachers’ evaluation scores), was unfair, error-ridden, spurious, harming teachers, and depriving students of high-quality educators, among other claims (see the actual lawsuit here). Again, I’m serving as the expert witness on the side of the plaintiffs in this suit. As you all likely also recall, in December of 2015, State District Judge David K. Thomson granted a preliminary injunction preventing consequences from being attached to the state’s teacher evaluation data. More specifically, Judge Thomson ruled that the state could proceed with “developing” and “improving” its teacher evaluation system, but the state was not to make any consequential decisions about New Mexico’s teachers using the data the state collected until the state (and/or others external to the state) could evidence to the court during another trial (initially set for April 2016, then postponed to October 2016, and likely to be postponed again) that the system is reliable, valid, fair, uniform, and the like (see prior post on this ruling here). Many of you will remember the classic Christmas program, Rudolph the Red Nose Reindeer, and how the terrible and menacing abominable snowman became harmless once his teeth were removed. This is how you should view the PED evaluation you recently received – a harmless abominable snowman. The math is still wrong, the methodology deeply flawed, but the preliminary injunction achieved by our union, removed the teeth from PED’s evaluations, and so there is no reason to worry. As explained below, we will continue to fight these evaluations and will not rest until the PED institutes an evaluation system that is fair, meaningful, and consistently applied. For all of you, who just got arbitrarily labeled by the PED in your summative evaluations, just remember, like the abominable snowman, these labels have no teeth, and your career is safe. These evaluations, as you know, were the subject of our lawsuit filed in 2014. As a result of the Court’s order, the preliminary injunction, no negative consequences can result from your value-added scores. In an effort to comply with the Court’s order, the PED announced in May it would be issuing new regulations. This did not happen, and it did not happen in June, in July, in August, or in September. The bottom line is the PED still has not issued new regulations – though it still promises that those regulations are coming soon. So much for accountability. The trial on the old regulations, scheduled for October 24, has been postponed based upon the PED’s repetitive assertions that new regulations would be issued. In addition, we have repeatedly asked the PED to provide their data, which they finally did, however it lacked the codebook necessary to meaningfully interpret the data. We view this as yet another stall tactic. Soon, we will petition the Court for an order compelling PED to produce the documents it promised months ago. Our union’s lawyers and expert witnesses will use this data to critically analyze the PED’s claims and methodology … again. Even though the PED has condensed the number of ways an educator can be evaluated in a false attempt to satisfy the Courts, the fact remains that value-added models are based on false math and highly inaccurate data. In addition to the PED’s information we have requested for the 2014-2015 evaluations, we have requested all data associated with the current 2015-2016 evaluations. If our experts determine the summative evaluation scores are again, “based on fundamentally, and irreparably, flawed methodology which is further plagued by consistent and appalling data errors,” we will also challenge the 2015-2016 evaluations. If the PED ever releases new regulations, and we determine that they violate statute (again), we will challenge those regulations, as well. Rest assured our union will not stop challenging the PED until we are satisfied they have adopted an evaluation system that is respectful of students and educators. We will keep you updated as we learn more information, including the release of new regulations and the rescheduled trial date. This entry was posted in Lawsuit and tagged Consumer Alert!, High Stakes, Measurement Errors, States, Unintended Consequences, Validity by Audrey Amrein-Beardsley. Bookmark the permalink. VALUE ADDED MODELS are premised on false math…and yet state after state is now putting them into legal (budget-breaking) practice. We are indeed a nation inclined to kill off our own best instincts.